Three winners; three very different orchids but that is typical of Australian Orchids, there is no one species that you can point to and say that is a typical orchid as illustrated by the the winners which were Sarchochilus falcatus (Kris Kopicki), Diuris palustris (David Mangelsdorf) and Simpliglottis valida synonym Chiloglottis valida (Pauline Meyers). 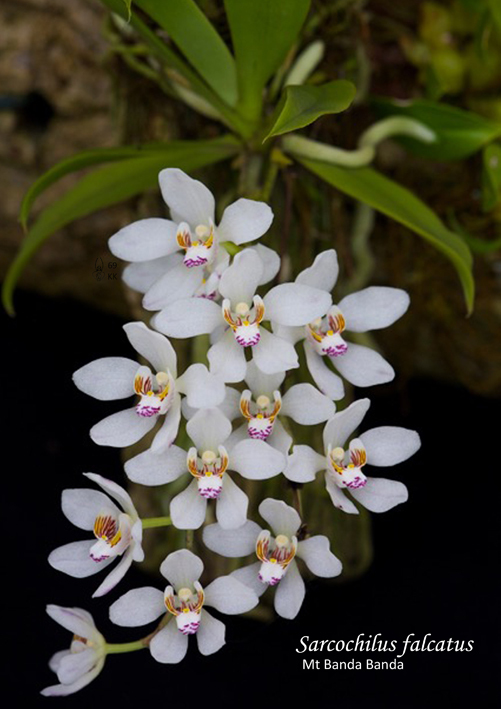 Sarchochilus falcatus (common name Orange Blossom Orchid) is an epiphyte. The cultivated plant in this photo originated from the Blue Mountains just north of Macquarie. 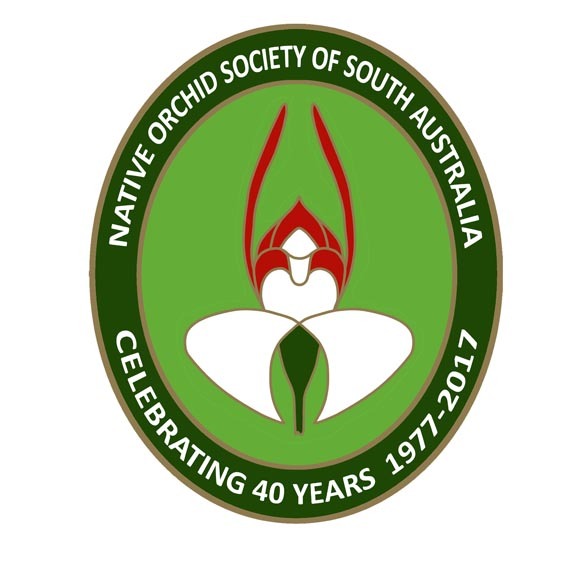 Epiphytic/lithophytic orchids are found across northern Western Australia through the Top End and from a narrow band down the east coast to Tasmania; that is in all States except South Australia. 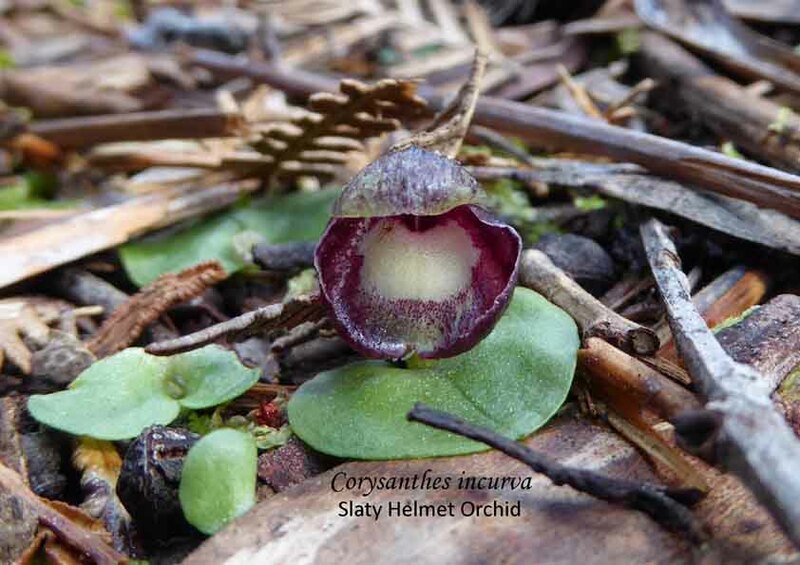 About a quarter of Australian orchids are epiphytes and despite the widespread distribution, 90% of epiphytic orchids are found primarily in the rainforests of northeastern Queensland. 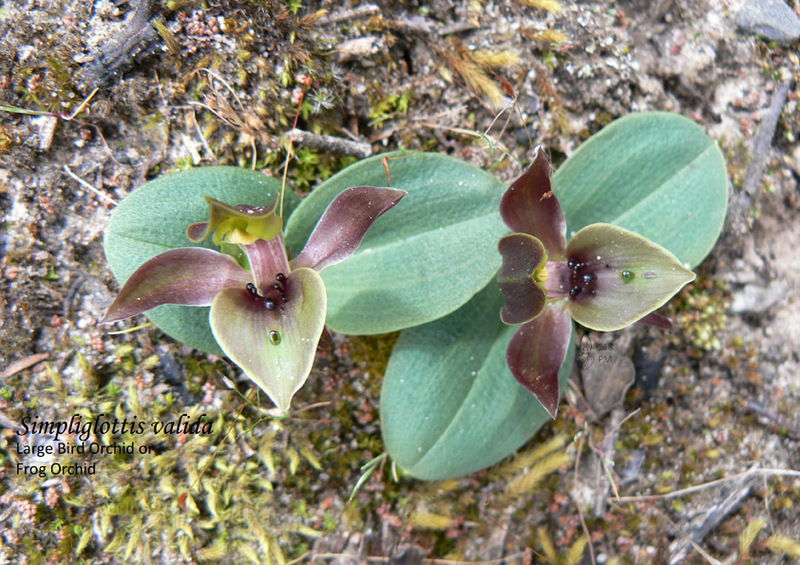 S. valida (common name Large Bird Orchid or Frog Orchid) and D. palustris (common name Little Donkey Orchid or Cinnamon Donkey Orchid) are terrestrial, the larger of the two orchid groups. Terrestrials are mainly found across the southern part of the continent with some occurring in the north and tropics. Their optimal habitat is the various types of sclerophyll forests found in Australia. There is some distribution overlap but the two groups mainly occupy different habitats. Concerning the habitat of the two terrestrials, S. valida ranges from tall moist closed forest to shaded places of drier open forests to sphagnum bogs and in the mature pine plantations of the South East. Whereas D. palustris occurs in wet and swampy habitats in the Eastern states (hence it is named from the Latin palustre meaning swampy), in South Australia it is not so. Instead it is found in open terrain of grassland, grassy woodland, mallee and shrubland. S. valida is a small ground hugging plant the scape (flowering stalk) of which elongates to 10cm or more after pollination. Click on this video link to see these plants ‘talking’. In New Zealand it is described as a vagrant having been introduced from Australia. Sarchochilus falcatus is the most common and widely distributed species of this genus in Australia. Occassionally it is lithophytic (grows on rocks). Though it had been rated Endangered and downgraded to Vulnerable in 2005, it is still under major threat from illegal collecting, trampling, water pollution, weeds and fire. New Zealand has epiphytes and the common name for them is Perching Orchids. 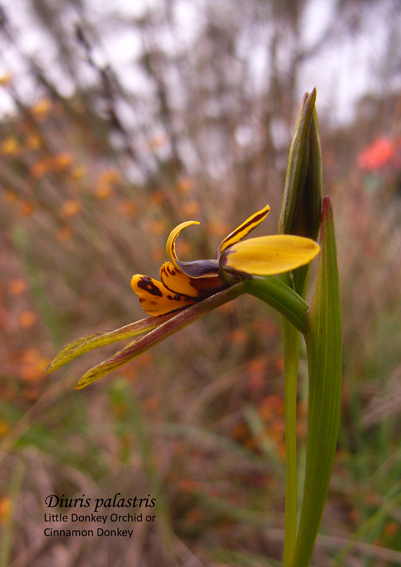 D. palustris is uncommon in South Australia and Tasmania; and rare in Victoria. 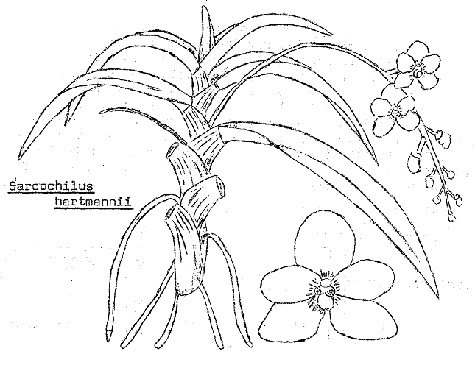 D. palustris was one of the subjects painted by Adelaide colonial artist and cartoonist Margaret Cochrane Scott in 1890s who had an affinity for native orchids.